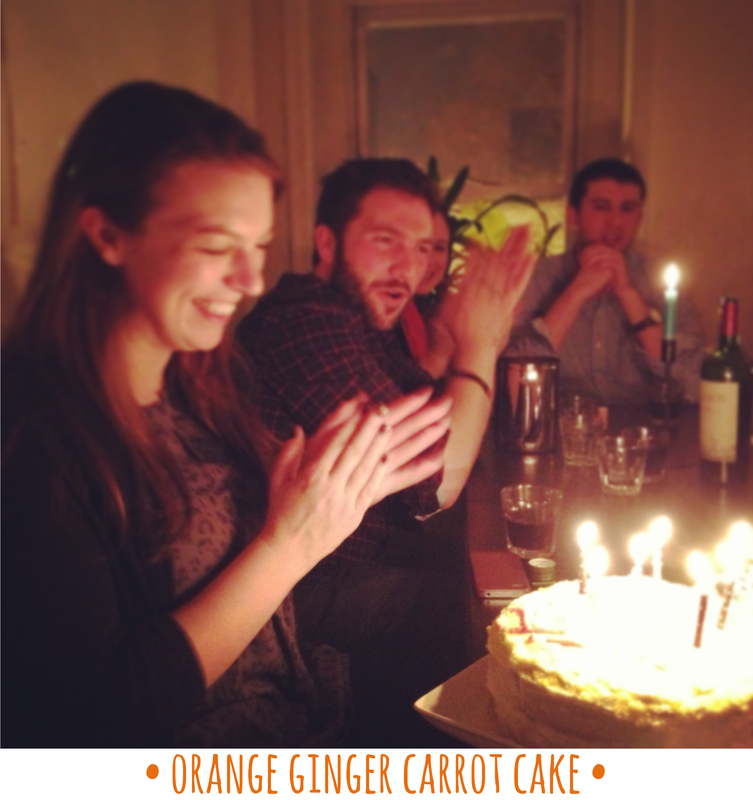 This post is a special one because it just so happens to be my better half’s birthday cake! That’s right, this past Thursday we had a Hungry Texans’ birthday bash for Miss Liz and it was a belly-buster on all fronts. We dined with a wonderful group of friends at one of the most unique restaurants DC has to offer, Thai X-ing, and in the spirit of Thai flavors for dessert too Liz blew out the candles on an orange ginger carrot cake. 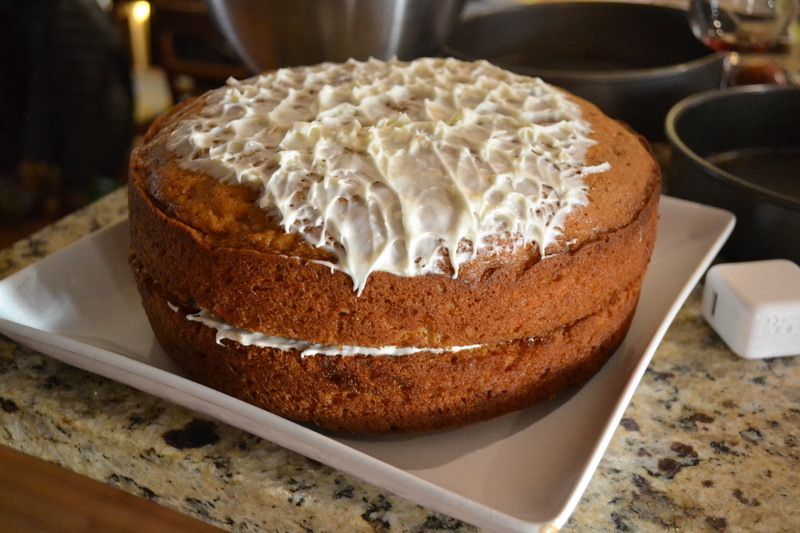 My dear friend, Jonny, introduced me to this scrumptious cake years ago and before last week I’d recreated it once on my own. 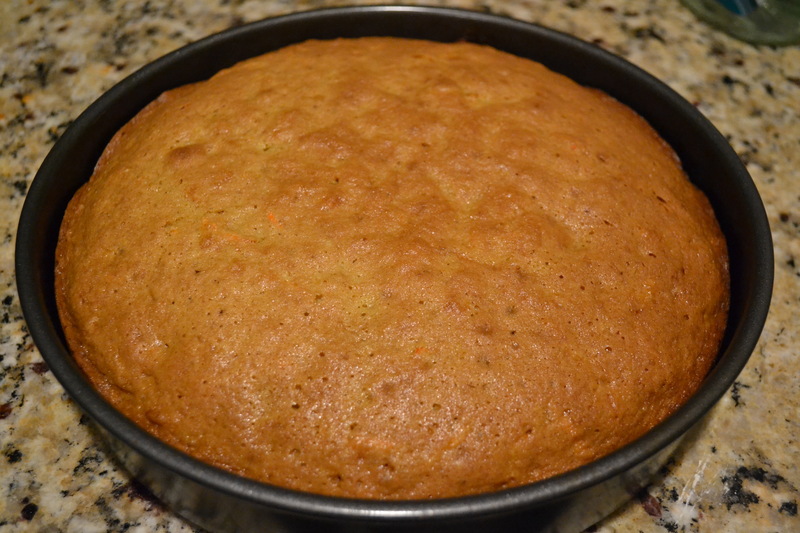 Until this week, we’d both stuck to letting the cake’s deliciousness speak for itself and not fussed over presentation – opting to prepare it in the suitable and ever-practical large, rectangular, pyrex; but for such a special occasion I had to prep this cake with a little more pomp. 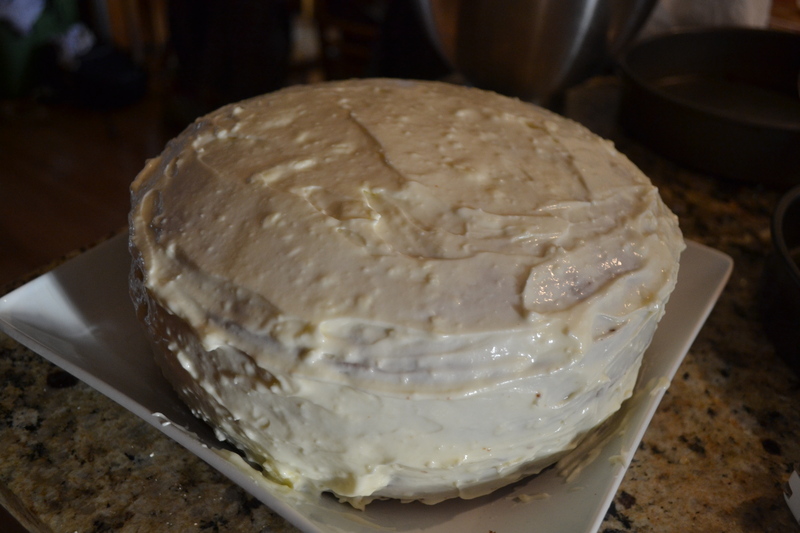 Despite initial hesitations about layering it, it turned out scrumptious! Even the non-dessert lovers at the table sang its praise, huzzah! 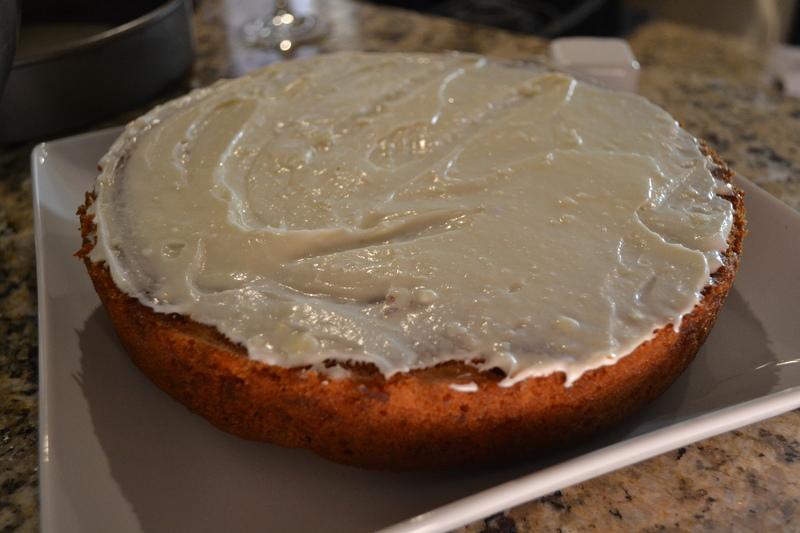 Before diving into the goodies, important to note this cake was a co-production with Boston Boy. It would have taken twice as long without him, and for his very first cake he pulled out a showstopper! 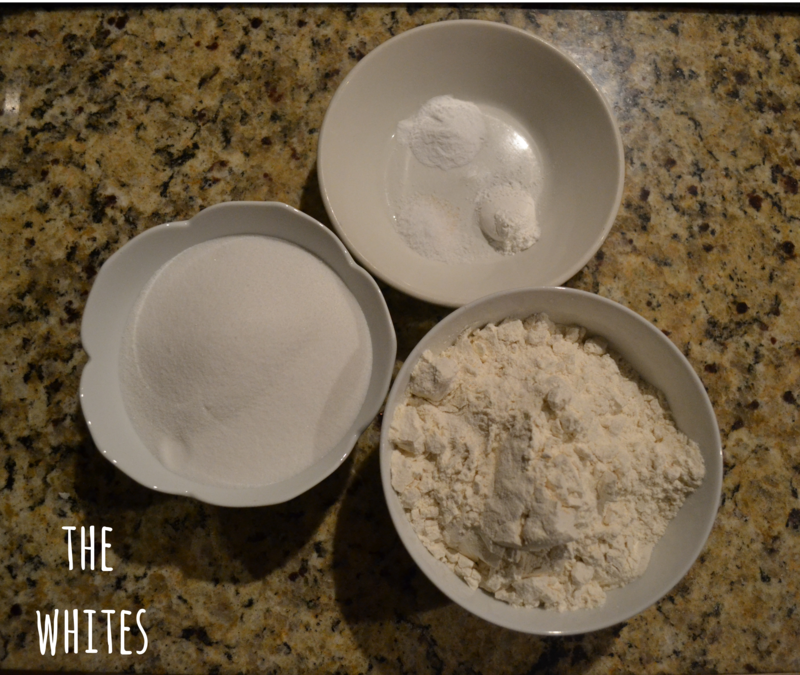 Start by whisking together your whites (flour, baking powder, baking soda, salt) and most of your browns (all of your spices) in a large bowl. Then, with the grater attachment of your food processor, start shredding your carrots (Be very careful handling these grating discs, Juju ended up with a little boo boo on her thumb. Don’t worry, Mom, no blood – just shaved off a layer of exterior skin). Transfer all shredded carrots into a large bowl. Then, swap out your grating disc for your blade attachment and get to creaming your sugars. Combine brown & white sugar in a few quick pulses, then add your orange zest. Pulse to combine. 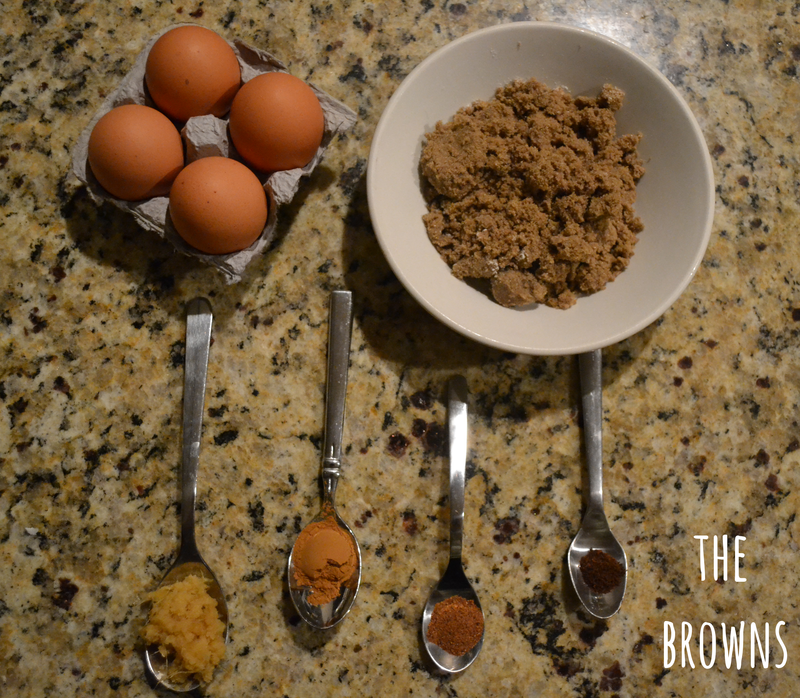 Add your four eggs and run until your mixture gets a little frothy. Next, with the food processor running, drizzle in your oil until the mixture is emulsified. 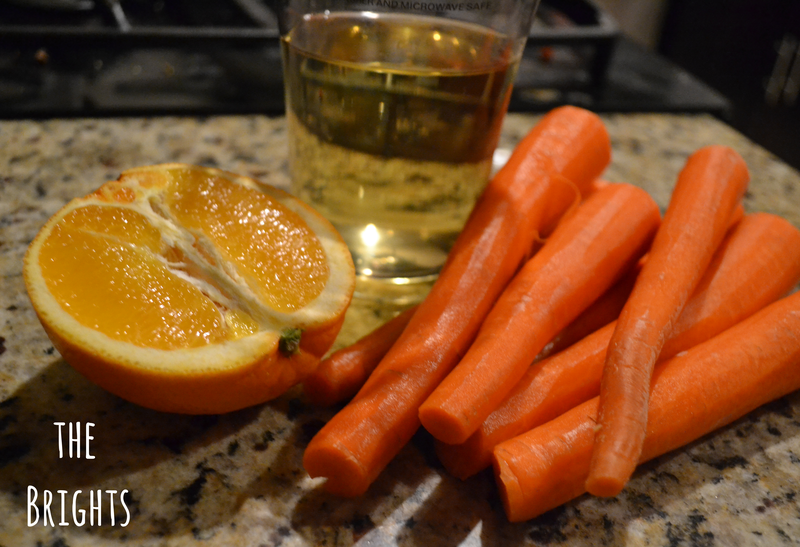 Scrape the mixture into the bowl topping your carrots (here’s a vine account of the above…!). 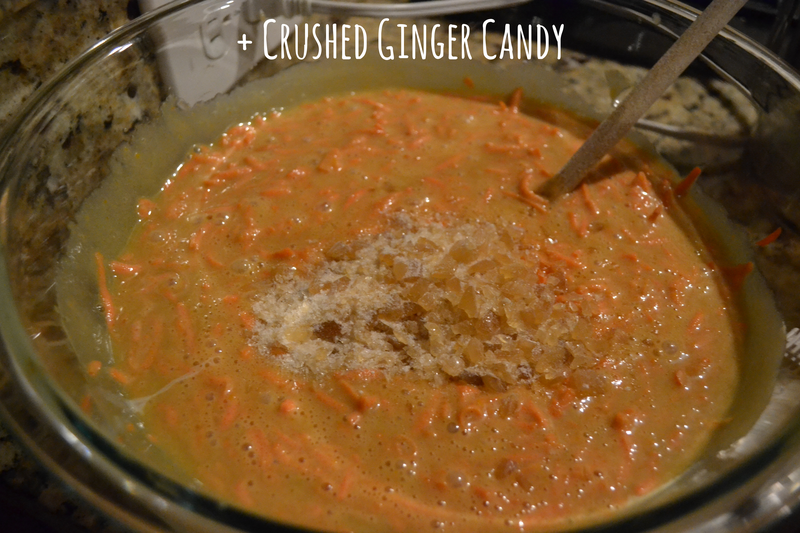 Next, stir in your candied ginger. 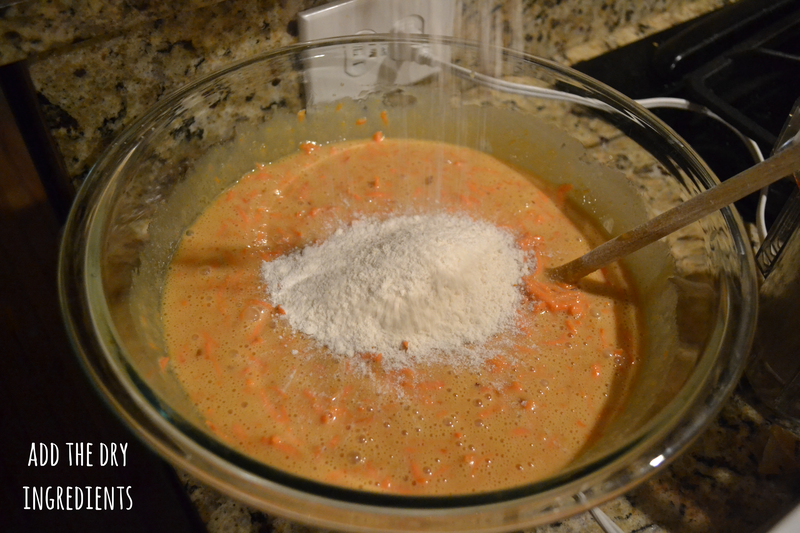 Then, start slowly adding and mixing in your floury, dry mixture. Stir well! Mmmmm! 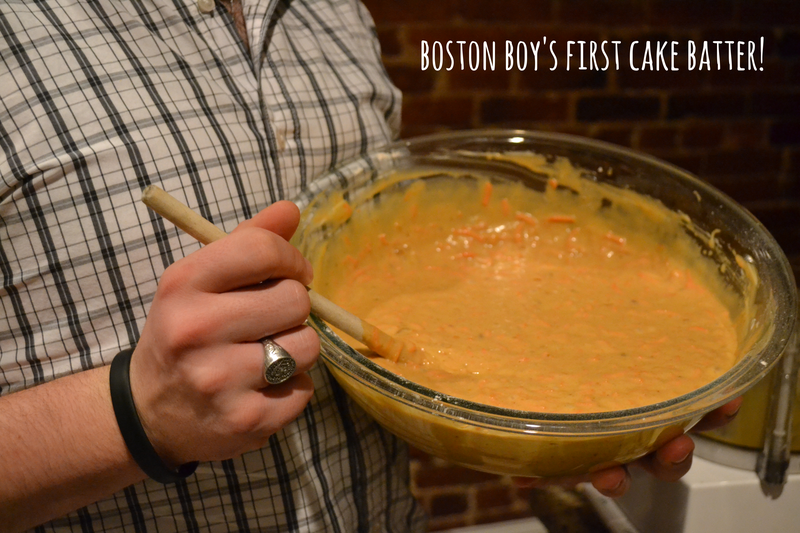 Look at that batter, Boston Boy! Pour into two parchment lined, circular baking dishes (or your baking dish of choice). 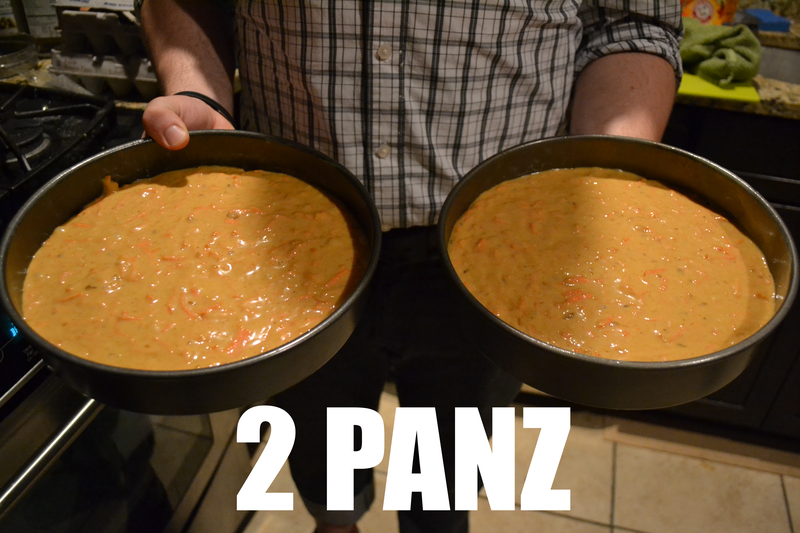 I chose 2 pans (sorry, I’m not sorry). Bake at 350 for about 40 minutes or until your cakes pass the toothpick test. 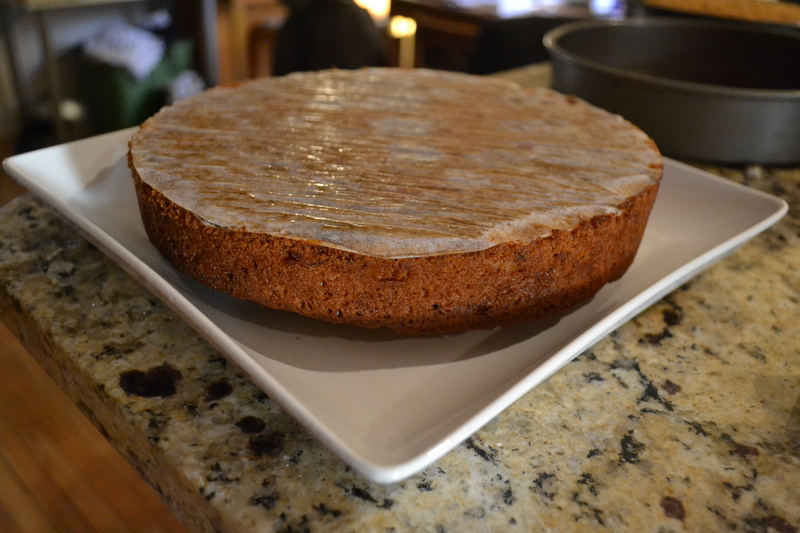 Let your cakes cool (I left mine to cool overnight), but let them cool at least an hour or until they have reached room temperature. 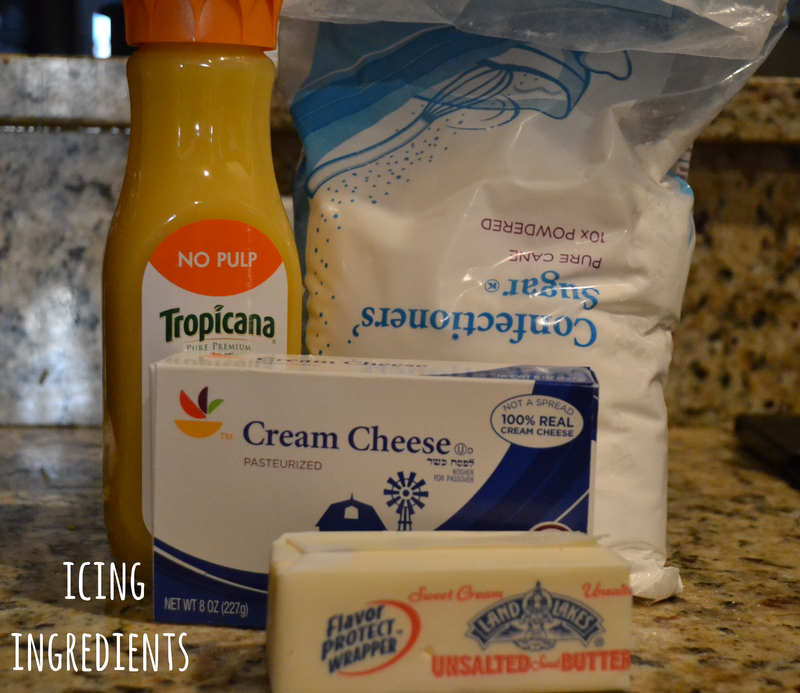 The frosting’s simple! 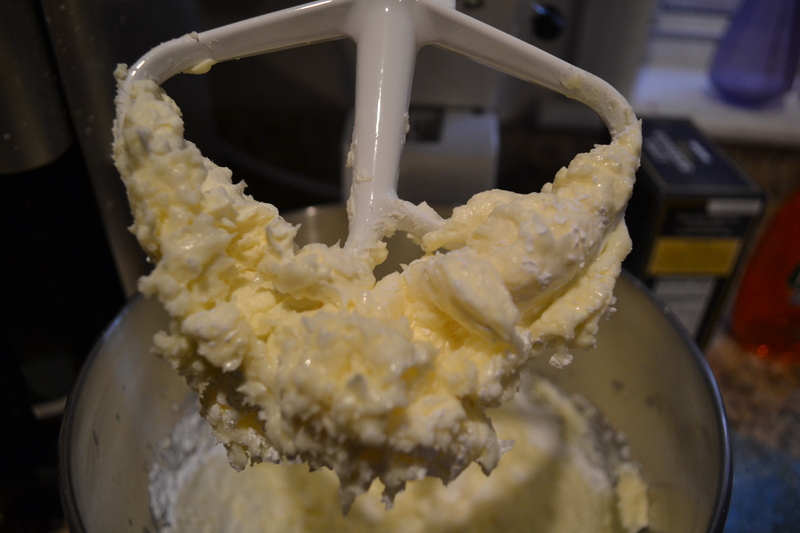 In the bowl of a stand mixer with your paddle attachment, cream together cream cheese & butter, add orange juice, and then begin gradually adding powdered sugar until frosting reaches desired taste and consistency! Frost your cake however you please! 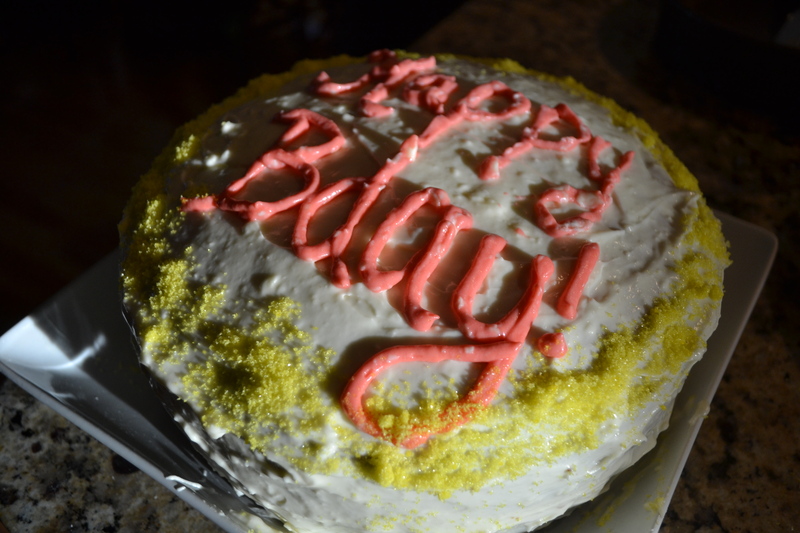 I turned this cake from plain white drab to birthday fab with a little died yellow sugar & some food colored frosting. I piped the birthday greeting through a ziploc bag (one of these days this Hungry Texan will get a proper pastry bag).